Vintage French Our Lady of Lourdes chalkware statue. Circa 1930's. Hand painted statue depicts the Virgin Mary wearing white and blue garments accented in gold as she stands upon a base accented with dainty roses. 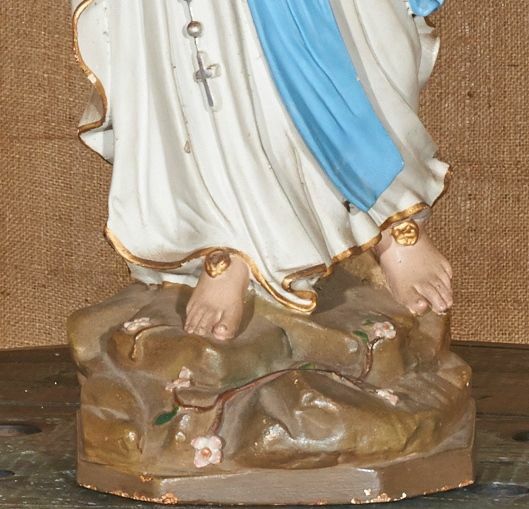 She holds a floor length rosary with white beads over one arm and her hands are folded in prayer as she gazes peacefully towards heaven. The Our Lady of Lourdes statue serves to remind us of the miracle apparition of the Blessed Virgin Mary to Saint Bernadette in 1858. 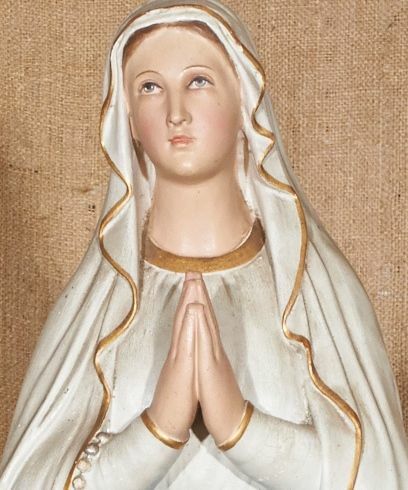 The Virgin Mary appeared to Bernadette Soubirous, a 14 year old peasant girl, at the Grotto of Massabieille near Lourdes, France. She introduced herself as “The Immaculate Conception” and instructed Bernadette to dig in a spot below where she stood. Water began flowing from that spot. 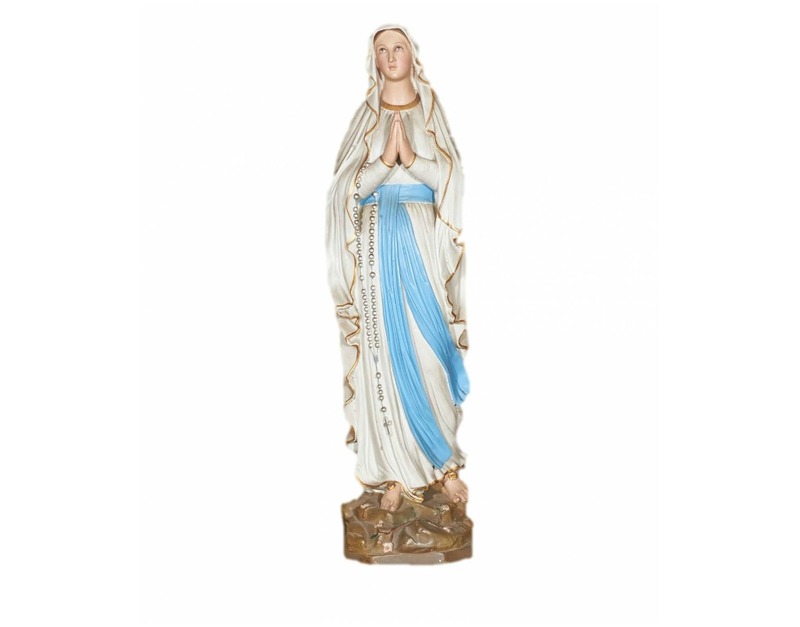 Miraculous healings are associated with the water from this spring and Lourdes is regarded as one of the most important Catholic pilgrimage sites in the world. It comprises four magnificent basilicas and the religious grotto marking the exact spot where Our Lady appeared to Bernadette. 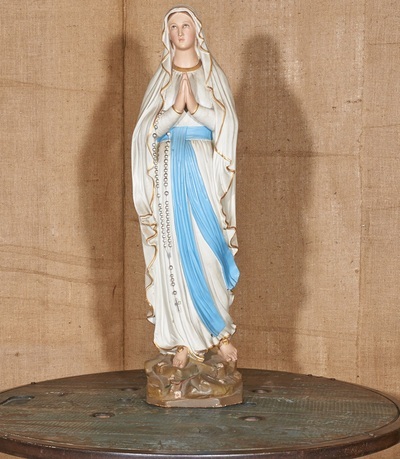 Traditionally there are four gifts of Lourdes: the gift of miraculous water, the gift of healing, the gift of reconciliation and the gift of strength and friendship.